We have a 3Ware 9550SX-8LP installed in a Linuxserver running Ubuntu Server. 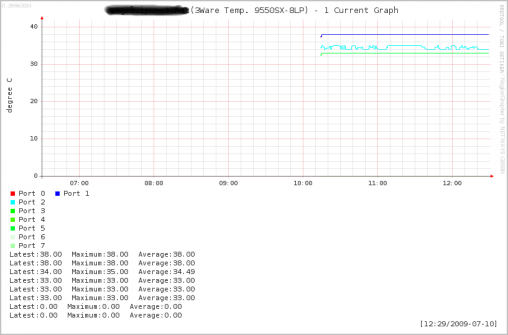 What I am going to describe is, how we monitor the Harddisk Temperature via Nagios and graphing it via NagiosGrapher. This HowTo can easily be modified for other 3Ware Controllers. snmp-server location "near the backbone"